ATTENTION! After the purchase, you can absolutely get a random (random) game activation key under Steam. JUST LEAVE POSITIVE FEEDBACK for the goods with a request to send a bonus, and within 2-4 days the key will be sent to the email you specified when purchasing! Four thematic additions with new network cards, new weapons and other things. Early access to additions that have not yet been released (two weeks before the release). Battlefield 1 "They will not pass": hardened veterans of the French army that there are forces to defend their homeland. Battlefield 1 "In the Name of the Tsar": find yourself on the largest front of the First World Frosty Winter together with the Russian army. Battlefield 1 "Waves of Change" participate in the amphibious operations of the First World War. Battlefield 1 Apocalypse: Go to victory at any cost in the most notorious battles of the First World War. 14 outstanding Battlefield 1 combat kits with unique looks for weapons every month, starting in November 2016. By purchasing a Premium Pass, you will retroactively receive all the combat kits that have been issued to subscribers since November 2016. 14 unique tokens issued during the duration of Battlefield 1 Premium Pass. Priority in the queues to the server. 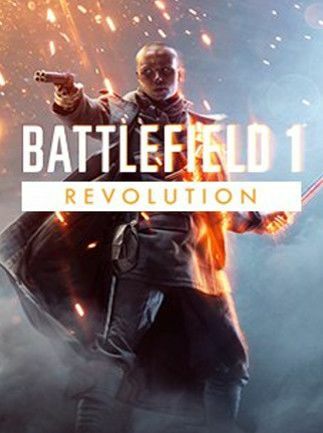 Battlefield ™ 1 immerses you in the era of the First World War, when new technologies and global conflict forever changed the principles of military affairs. Participate in every battle, drive every huge machine, perform maneuvers that change the outcome of the whole battle. The whole world is in the grip of war. Find out what awaits you on the front line. 1. Download and install the Origin program (http://www.origin.com/download). 3. Select the interface language and the place where the game will be installed. 4. Go to "Origin-Activate Product Code." 5. Enter the key. After that, the game will appear in the library of games, where you can download and play it.